Keith Hackett, a local Kriss Kringle stand-in, talks about difficult kids, the hazards of the “real beard,” and his day job as a couples counselor. 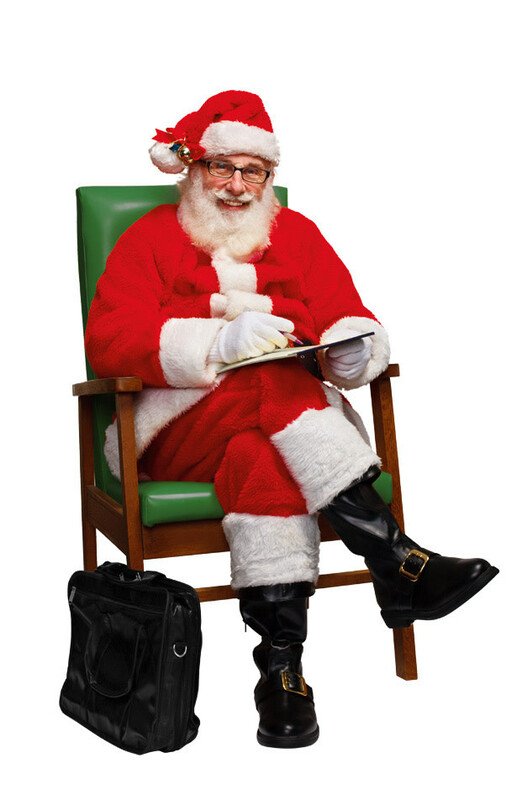 How did you get started down the path of being a Santa-for-hire? It was about 10 years ago. I was asked to fill in at the church where I was serving as pastor. The guy they originally wanted to do it wasn’t available, and they really needed a Santa. I had a real beard, so they asked if I’d do it. You’re a member of the local Santa Claus impersonators group Santa’s Pack. Is there a rigorous screening process? It’s pretty much an open invitation to anyone who’s interested in being a Santa. We get together every month or so and talk about our experiences and help each other out with different ideas for our performances, but there are no actual rules or regulations. So, what makes a good Santa? You’ve got to love children. If you don’t, then you’re just not going to do. And you’ve got to be comfortable around people. You also need to have a good sense of humor. It also helps to have a real beard. About 90 percent of our group are what we call “real-bearded” Santa Clauses. I’m guessing you have to be pretty quick on your feet. The first time I did it, one little boy who was about 4 years old sat on my lap, and I asked him, “What do you want for Christmas?” He tells me, “I told you yesterday when I saw you at the mall.” And I’m thinking, “Gee whiz, what do you say to that?” But I suddenly got this inspiration and told him, “You know, you did, but I got a phone call from Mrs. Claus last night that the computer had crashed at the North Pole, and I have to see every kid that I saw yesterday to get the list updated.” It gave me a whole new respect for people who do this. How do you deal with skeptics? I’ve had kids hide outside my dressing room when I get changed to try and catch me. It’s come to the point a couple of times where I had to leave by a window so they couldn’t get me. What are some of the hazards of being Santa? Well, the obvious one is getting your beard pulled, you know? Kids don’t believe that it’s real, so you tell them they can pull it gently, but they usually pull too hard. It hurts. And then occasionally you have little ones who get sick on you. The other one is the typically squawky child. Santa can be scary to some kids, so you have to get mom and dad to hold them and then slide in behind for a picture. During the off-season you make your living as a couples therapist. Your big thing is getting them to rediscover the fun in their relationship—you even wrote a book about it called Couples and the Art of Playing. How does that tie into being a Santa? I’m also a pastor, so the three aspects all combine in playing Santa, because he’s a really playful kind of person. The cliché I’ve developed is that couples often communicate poorly, parents do better (though often it’s about the kids), but friends talk best because they play. The Santa stuff fits in because it’s just play. If mom and dad aren’t getting along when they bring their kid in, once they see Santa it creates a playful mood. Plus it ties in with the whole Christian gospel of giving and sharing and loving and being nurturing and affirming. I mean, everyone wants to sit on Santa’s lap. Is there a retirement age for a Santa? When you die. Or get Alzheimer’s. Besides, Santa’s supposed to be 800 years old anyway, so the older you get the more you naturally sink into the part.